The coastal town of Kirkcaldy is Fife's largest town, and one of its busiest. As a result, commuting is often challenging. A great option when moving around town is to ride a scooter. Having a scooter in Kirkcaldy offers several benefits for everyone. If you’ve previously not thought about owning a scooter in Kirkcaldy, here are reasons why you should reconsider. Why Own A Scooter in Kirkcaldy? Faster in Traffic: Scooters are easy to manoeuvre in traffic; weaving in and out of traffic with ease and enabling you to get to your destination quickly. Parking: Finding parking space for your car is a hassle in Kirkcaldy. With a scooter, however, there’s no hassle of finding parking spaces because you can park almost anywhere. Price: Scooters are also considerably cheaper than cars and are also easy to maintain. Fuel Economy: Owning a scooter in Kirkcaldy allows you to save on fuel cost because you can ride for days or even weeks without needing to refuel. 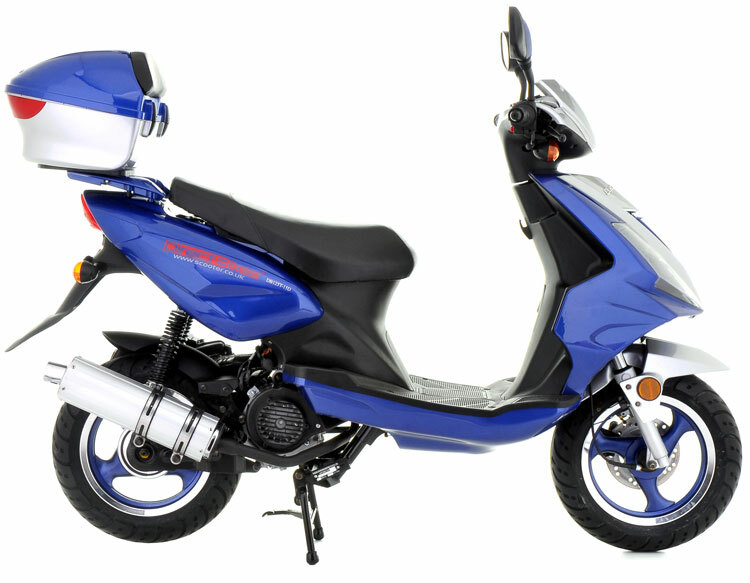 Price: Priced between £999 and £1099, our scooters areamong the cheapest in the UK. This is because we deal directly with the manufacturers and don’t use dealers. Also, if you cannot pay at once, you can pay in instalments. Insurance: We also offer to compare the insurance market to find the cheapest insurance deals for you. Although we have no dealerships in the city, Direct Bikes can deliver your scooter regardless of your location in Kirkcaldy. All you need to do is fill in your information when making payment. We’ll then use the information to calculate the delivery cost and determine when it’s best to deliver your scooter. It’s that easy. Order now and get complete freedom and flexibility in Kirkcaldy!